Some industry experts assumed that the rise of digital and social media channels would make marketers write off emails. Instead, savvy email marketers have taken note of our high-tech times and evolved their email marketing into a data-driven, customer-centric, effective means of messaging. Now, digital and social channels are being used to complement email marketing. They’re all working together to develop cohesive, compelling message. Adweek.com shared how today’s email marketing is adopting and adapting to our digital and social channels. 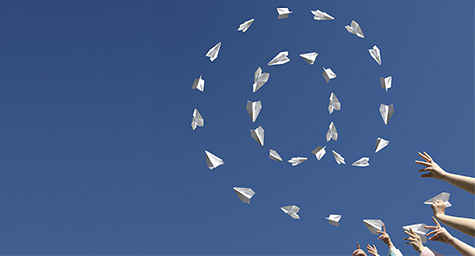 Most social media efforts are designed to engage a crowd, but email enables marketers to communicate with each customer. Email allows for more personalized marketing because an email address is tied to a wealth of consumer data and behaviors. And with consumers craving a one-on-one dialogue with companies today, email is in sync with their preference for personalized messages. For a while, email marketers have been analyzing an array of consumer data to target customers with personalized messages based on their prior purchase behaviors. Now, more and more of these marketers are using these past behaviors as a guide to a customer’s future actions. Then, they’re using these purchase predictions to customize their messages. With the popularity of user-generated content, marketers no longer have to bear the entire burden of creating email content. Many email marketers are holding contests, running promotions, or simply asking customers to submit their photos, videos, and personal stories of their experiences with a brand. These submissions are typically sent via social media channels or email. This provides an abundance of customer content that can be re-purposed for email marketing. Of course, marketers will need to get the creator’s permission before integrating their content. In addition to relieving some of the content concerns of marketers, content that comes from customers is often trusted more than messages from brands. It’s perceived as much more honest and relatable. Now, some marketers are evolving this concept from real life to real time. They’re moving beyond simply posting user-generated images to featuring real-time photos and messages at the moment they occur. This is especially effective in event marketing where images can be captured in real time and then shared through both email and various social media channels. Once customers view these current events, it shows them what they’re missing and often encourages their attendance. While every email sends information to customers, it also supplies important data to marketers. It shows the effectiveness of calls to action, the success of marketing messages, and the frustration of lost subscribers. Each email serves as a gauge of performance and a guide for improvement. Marketers must continually experiment with new strategies, novel messaging, different formats, and unique creative elements like video or animation. Each approach must be measured to show what’s working and what still needs work. Then, successful email elements should be repeatedly tested and possibly improved, while underperforming aspects must be closely reviewed and revised. Also, email marketers must synchronize their messages with the company’s advertising, digital, and social media departments. Collaboration is key to presenting a solid, seamless marketing message on every possible platform. Lastly, with the abundance of emails consumers receive, it’s important to make every message stand out. And today’s array of digital marketing advances enables email marketers to get extremely creative and find unexpected ways to capture attention and drive consumers to action. By continually breaking through boundaries and responding to trends and technology, marketers can keep their emails evolving and effective. Discover what’s working in email marketing. Contact MDG Advertising today at 561-338-7797 or visit mdgadvertising.com.